When you think of an autistic child do you think about the kid that’s labeled the weird kid in class? Someone who struggles to make eye contact, fidgets a lot, and doesn’t have many friends? Or do you picture a child that is severely disabled, non-verbal, and requires supports for everyday activities? Chances are that you picture one of these two extremes, but the reality is that both of these extremes and all of the in between fit within the autism spectrum. It can be a bit difficult to understand, so I’m going to try to cover the basics of understanding the wide spectrum. This post is a part of the Autism A-Z Series for Autism Acceptance Month, so you can find the rest of the posts in the series here. Low functioning autism refers to more severe cases of autism that cause the autistic person to struggle more with day to day activities. The idea is that an autistic person with low functioning autism would have a lesser ability to function in everyday life. Often this means the person is non-verbal, may practice in self-harming behavior, and stims often and obviously. High functioning autism refers to less severe cases of autism that cause the autistic person to more easily manage day to day activities, while still struggling in some social and sensory situations. The idea is that a high functioning autistic person would be more able to function in every day life. Often this means that the person is verbal and communicative, rarely self harms, and has stims that are more socially acceptable or managed. Why Functioning Labels Are Ridiculous and Irrelevant. For the most part, these labels were created to separate autistic people into two classes, if you will. High functioning autistics were seen as “easier” and therefore better. Whereas low functioning autistics are often labeled intellectually disabled (whether they are or are not) and essentially given up on. Autistic people all over the wide spectrum are worth caring about, listening to, respecting, advocating for, and supporting. 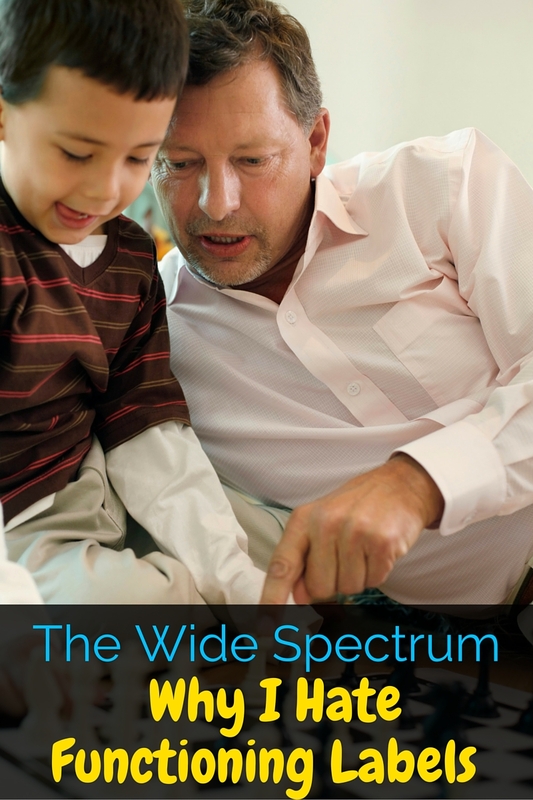 The autism spectrum isn’t a straight line from “a little autistic” to “really really autistic”. In reality there are many parts of a person’s development that autism can have an effect on, and an autistic person can have strengths and struggles of varying degrees in each of those parts. An autistic person can manage well in many social situations but meltdown and self-harm when experiencing strange textures. An autistic person may be non-verbal, but use a communication device to express their thoughts beautifully while another person is verbal, but uses scripting because they don’t use expressive language. Who is “high functioning” in that scenario? In a group once I was discussing supporting disabled self advocates, and I was told that my voice didn’t matter (and neither did the self-advocates) because my son was “not autistic enough”. I’ve also been told my son has “hippy-dippy-neurodiversity-autism and not real autism”. These are just a few examples of the huge divide in the autism community. For the last few years, awareness has been growing for those considered “high-functioning”. Self advocates have been promoting the understanding that autistics are just like neurotypical people, they just have different quirks. They just need people to be understanding. At the same time, those who would be considered “low-functioning” are fighting for increased services and the understanding that they face “real struggles” and they aren’t just “that weird kid”. It’s a complex scenario, but the divide is largely unnecessary. If you know that a child is diagnosed with “low functioning autism”, you will immediately lower the expectations for that child. Teachers won’t expect them to learn as much. Parents won’t expect them to become more independent. Doctor’s won’t expect them to improve their skills. On the flip side, “higher functioning children” can be expected to do and handle too much. They may be denied supports that they need in the classroom, or people may expect them to handle social situations they aren’t prepared for. I understand that because autism is such a wide spectrum, doctors, therapists, and even parents feel the need to clarify where a child may fall on the spectrum. Rather than giving arbitrary functioning labels that don’t give an accurate picture of where a person is, why not get more specific? If you’re sharing a diagnosis with someone there is probably a reason. Are you discussing accommodations? Mention the specific struggles you’re looking to accommodate. Are you discussing an opportunity? Discuss strengths. 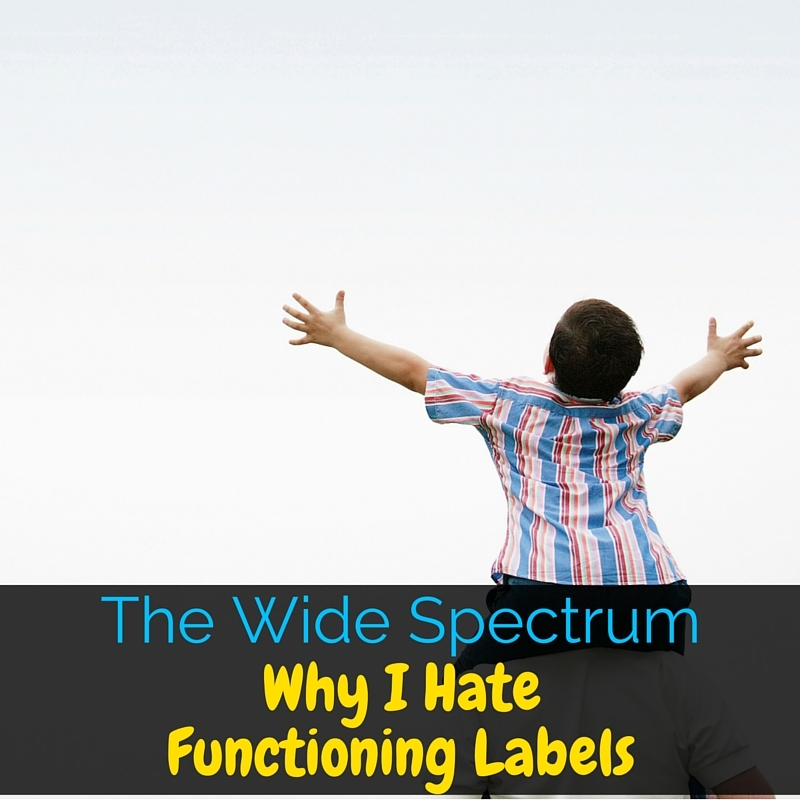 Do you use functioning labels for your child? What are your thoughts on them? 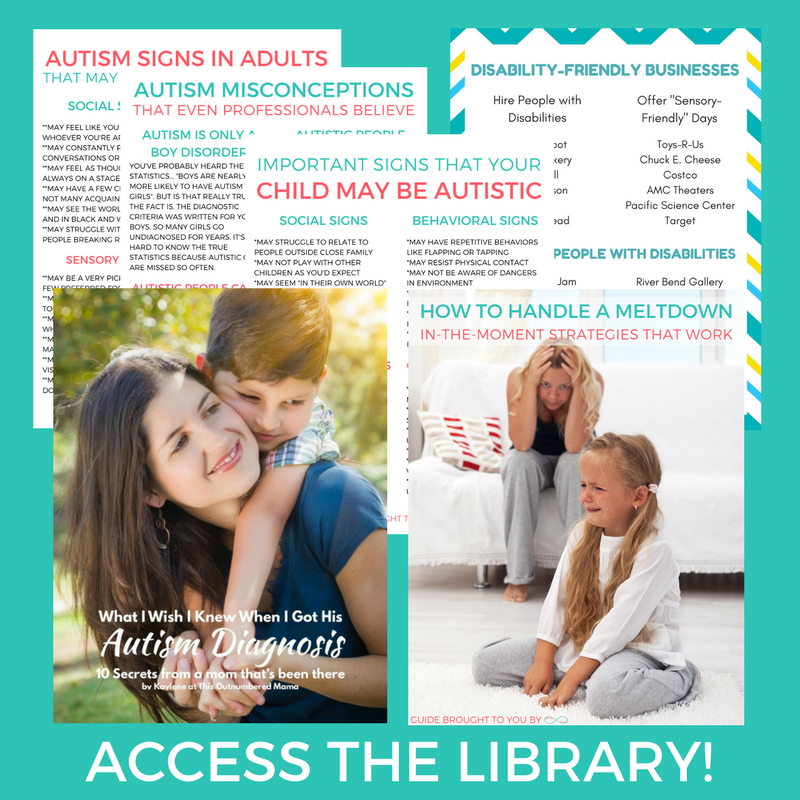 Don’t forget to check out the rest of the posts in the Autism A-Z Series here! The reason I hate functioning labels is because ‘high functioning’ people are deemed to require no help no matter how much we may be struggling socially, and ‘low functioning’ are often deemed to such hopeless cases that no input is offered beyond ABA and ‘Life Skills’ classes in Special Ed, which fail to help them thrive and achieve.